During the hot summer months we've all been known to take a little sip from the hose now and then ... but this little guy seems to want all the water. It's a good thing his buddy doesn't mind sharing. 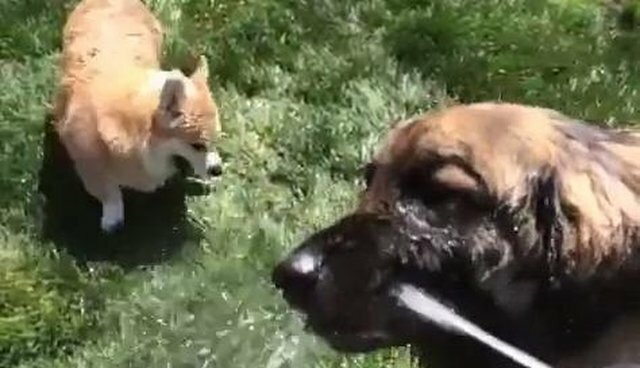 We think he might want to take lessons in drinking from the hose from his bigger friend, because not a whole lot seems to be making it into his mouth. He sure seems pretty happy to try and catch the water leftovers, though. Or maybe he thinks he's under attack? Either way, it's pretty adorable. He seems to enjoy the water as much as the dog on the waterslide.